I project managed the redesign and new build of the website communicating with an internal team and our 3rd party contractor. 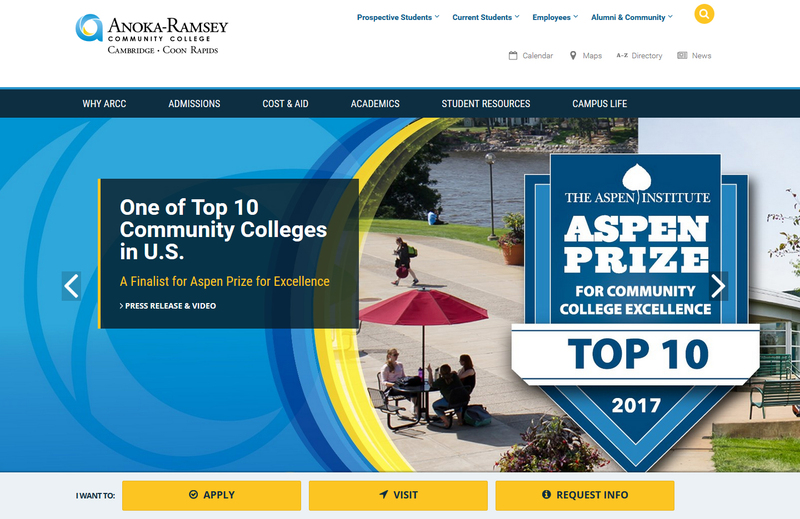 The Anoka-Ramsey website moved from Sitecore’s CMS to Umbraco’s CMS. 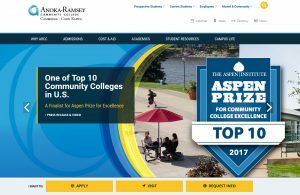 Anoka-Ramsey.edu was honored with the 2016 SILVER Award in the 4th Annual EDU Digital Marketing Awards, sponsored by the Higher Education Marketing Report.